Artie loved so many and so many loved Artie. He was a good and gentle soul who emphasized with everyone who hurt. Artie was the champion of the Underdog and the best friend, son, brother & cousin ever imagined. The lives that were shaped because of this gentle man came forward to mourn his death and wept recounting how he had changed their lives. Artie's biggest accomplishment in this life was LOVE. He had many interests and many lives he loved, but at the top of his list was his Mom & his Dad. Artie and his Cousins ~ How they all loved each other! 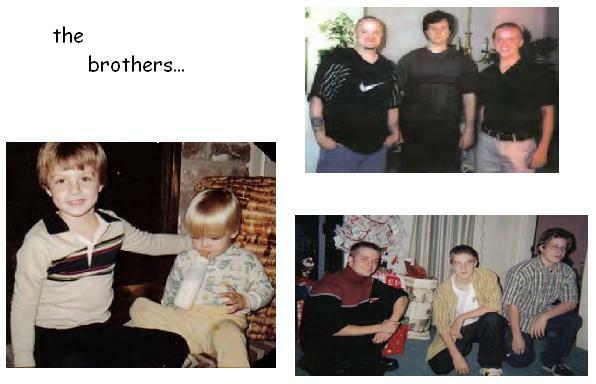 Artie had 2 beloved brothers, Michael & David. These boys were so very close and Artie delighted in having his brothers. Sigrid & Tom Hahn, Artie's Parents, don't ask for anything but Prayer. Artie had, for the last years of his life, been on a spiritual journey that drew him closer to God. Artie's parents, Sig & Tom, ask for nothing but your Prayers. Please Pray for the soul of Artie, and please ask God to help Sig & Tom on the hardest, most inconceivable journey any parent could be asked to undertake. This request comes from Artie's Parents, Sig & Tom, who know that their son is now safe from the slings & arrows of Life, but they ask for your prayer. That is all they ask.